Snapshot – We Indians don’t have freeways like the Americans or the autobahns like the Germans. We’re one too many for those kind of luxuries. What we instead have are highly trafficated streets that makes chasing top speeds somewhat pointless. Blistering acceleration is what we can derive joy from on our everyday commutes, which can otherwise turn very tedious. We’ve already given you a lowdown of India’s fastest accelerating car if you’re on a tight budget of 5 lakh rupees. If you can bump up your budget by a few more lakhs, you’ll get a faster car. Here are all the details of India’s fastest accelerating car priced below 10 lakh rupees. Best selling cars are supposed to be all-rounders. An all rounder, in other words, means ‘good at everything but the best at nothing’. But there are always exceptions. 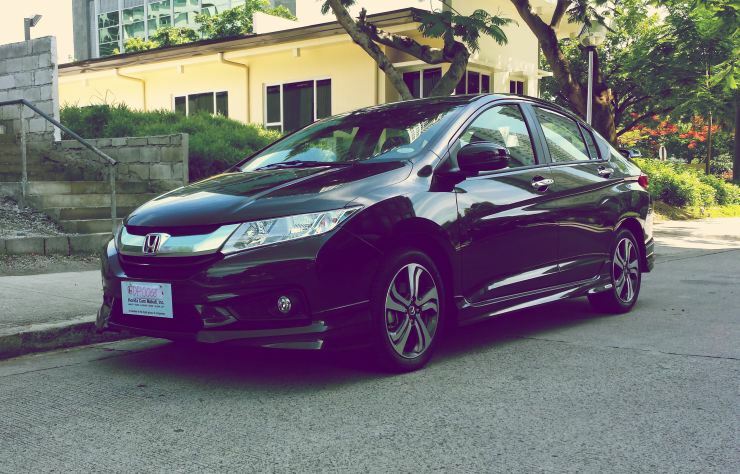 The Honda City, ladies and gentlemen, is an exception. This car is not just the best seller in the C-Segment class by far, but is also the car you want to be in if straightline acceleration is your thing. 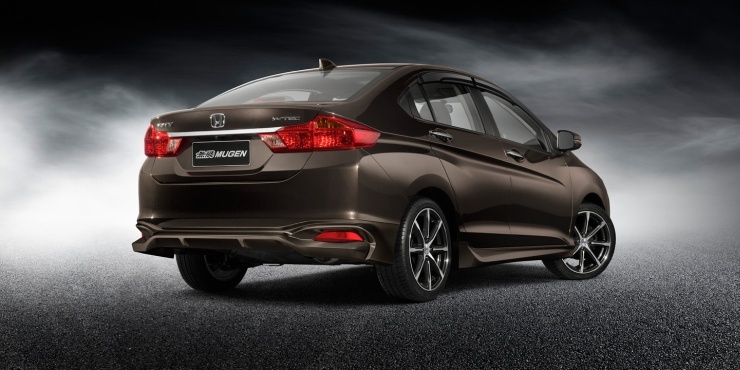 The Honda City’s petrol engined model does the 0-100 Kph run in 10.13 seconds, making it the fastest sub-10 lakh rupee car in the country. To do this, the car uses a 1.5 liter i-VTEC petrol engine that revs all the way to 7,000 rpm, in the process producing 117 Bhp-145 Nm. The high revving, smooth petrol motor’s real friend is the gearing, which allows the sedan to hit 100 Kph in the second cog. The City comes with high quality all around. Well appointed interiors that are now very spacious, and good equipment levels on board make the car a very effective family sedan. 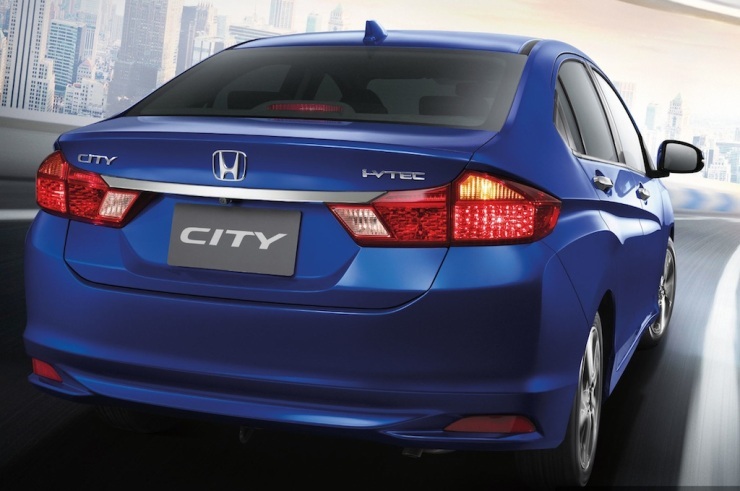 For the enthusiast though, everything about the City 1.5 i-VTEC isn’t perfect. True the car accelerates like a shot fired out of a musket, but the 175 section tyres struggle for grip on tighter corners and under hard braking. So, a tyre upgrade is in order. The handling, like most Hondas, is sorted but what isn’t is the steering feedback at higher speeds. The City can do with a heavier, more involving steering considering the kind of performance its petrol engine endows it with. The ride is reasonably pliant but the suspension could do with some tuning to help the car stick to the winding road like a leech. On the whole, the City 1.5 i-VTEC is a delightful car that can be made better. Enter the tuners. The first thing you’ll need to do to the City 1.5 i-VTEC if flat out performance is your cup of tea is to upsize the car’s tyres. Wider rubber will go a long way to make the petrol sedan use its power and torque better. Another upgrade is in the suspension department. A set of Bilsteins or TEINs can really impact the way the City feels at higher speeds. A remap and a free flow exhaust will only make the sporty car even sportier. So far as the exterior modifications go, there is a steady stream of body kit parts from South East Asian markets such as Thailand and Malaysia, other countries where the City is sold and is also quite popular in. 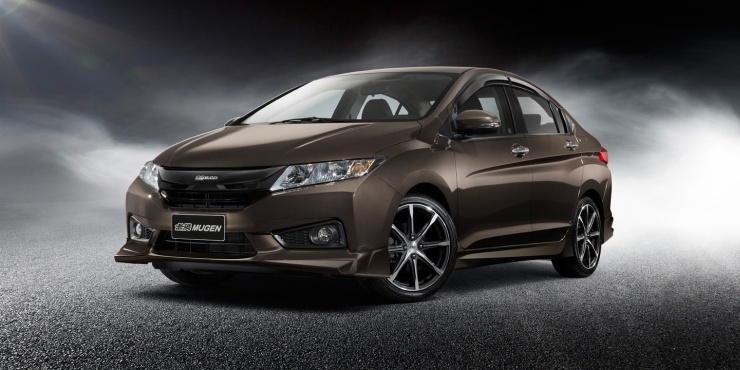 Honda has officially released Mugen and Modulo body kits for the sedan in those parts of the world. Getting one such kit to India and installing it is a straightforward exercise. 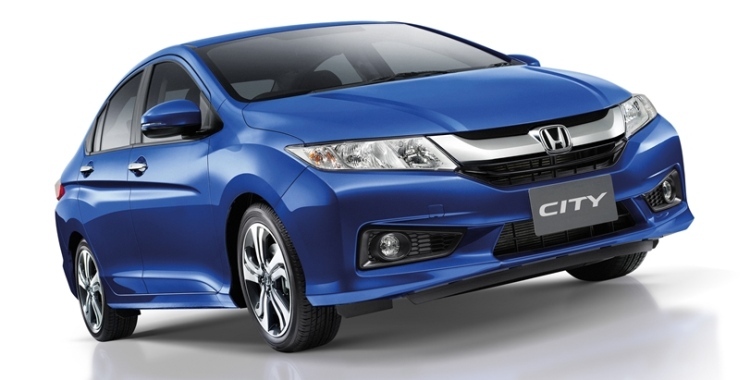 For some reason, you don’t want the Honda City. Maybe it is too commonplace for your tastes or even perhaps, its styling doesn’t appeal to you much. However, you still want a car that accelerates hard and is priced below the 10 lakh rupee mark. What are your other options? 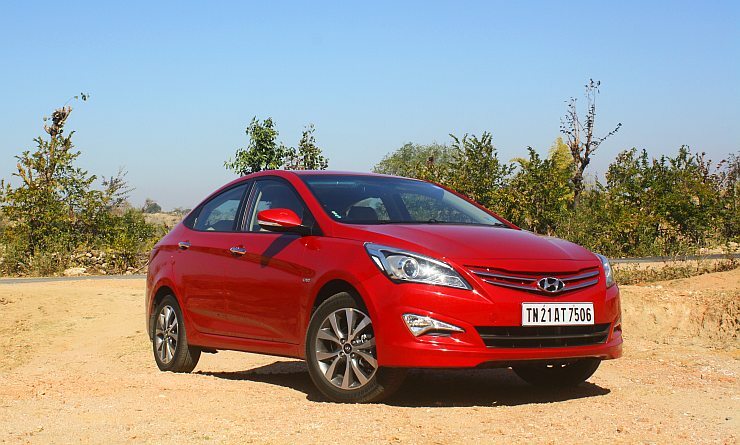 The Hyundai Verna 1.6 Diesel is another straight line sprinter that comes with the carrot of good fuel efficiency and lower running costs mainly because it is a diesel. The car handles like a boat though and piloting it at triple digit speeds can be scary in cases where you may have to make a sudden swerve. The engine of the Verna though is a gem. the 1.6 liter U2 CRDI motor makes 126 Bhp and 255 Nm, enough to give the car a 10.54 second 0-100 Kph sprint despite its tall gearing that is designed to maximize fuel efficiency. The Volkswagen Polo GT twins are two other cars that promise not only great acceleration but also good driving dynamics, especially at triple digit speeds. While the steerings of both cars can do with more feel, the suspension is suitably sporty. The Polo GT TSI uses a 1.2 liter turbocharged petrol engine (103 Bhp-175 Nm to hit 100 Kph from rest in 10.91 seconds. The car’s 7 speed twin clutch automatic gearbox is a big reason for getting the best out of this small turbo petrol motor. The GT TDI on the other hand, uses a 1.5 liter turbo diesel mill (103 Bhp-250 Nm) to clock the 0-100 Kph sprint at 11.3 seconds. The GT TDI is the more efficient sibling, which is also less complicated owing to the good old 5 speed manual gearbox. Less electronics means less chances for trouble, especially on Volkswagens. A true driver’s car that offers the best of both worlds, great straight line performance and superbly sorted handling, the Fiat Linea T-Jet is the car to opt for if you want a well rounded enthusiast machine. The car is solidly built and the heft is confidence inspiring. The 1.4 liter T-Jet turbo petrol motor makes 113 Bhp-207 Nm, and propels the car to 100 Kph from standstill in just 11.05 seconds. The 5 speed manual gearbox could do with shorter throws though. For the kind of price at which it is served up, the Fiat Linea T-Jet is a superb value proposition, one that looks like a million bucks and goes like a rocket. 11 seconds is what the Volkswagen Vento TSI takes to hit the ton mark from standstill. 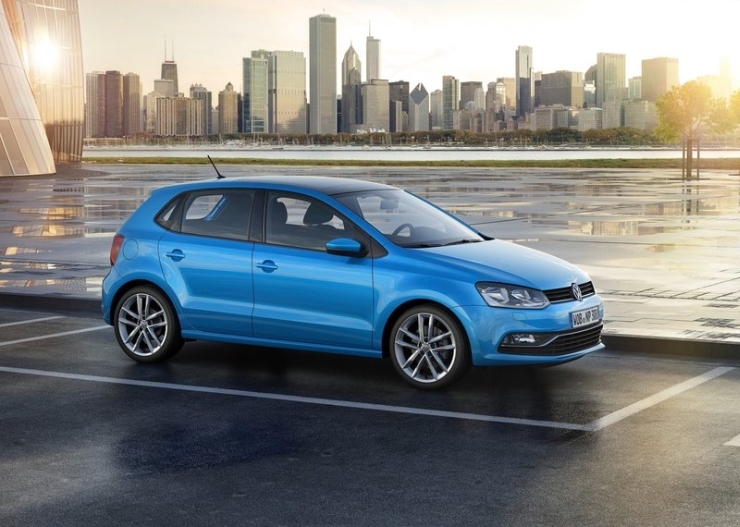 The car is a sedan sibling of the Polo, and comes equipped with the same hardware as the GT TSI. 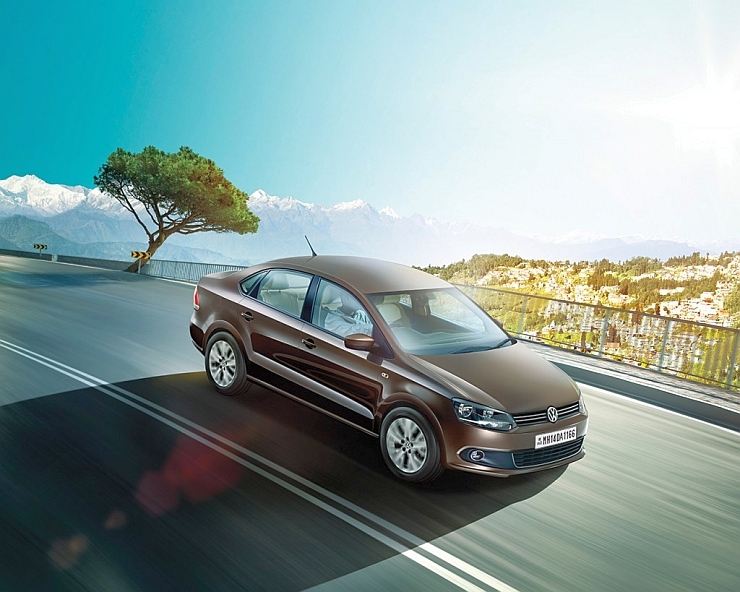 The Vento is one of those solidly built cars that offer reassuring handling and great all-round performance. 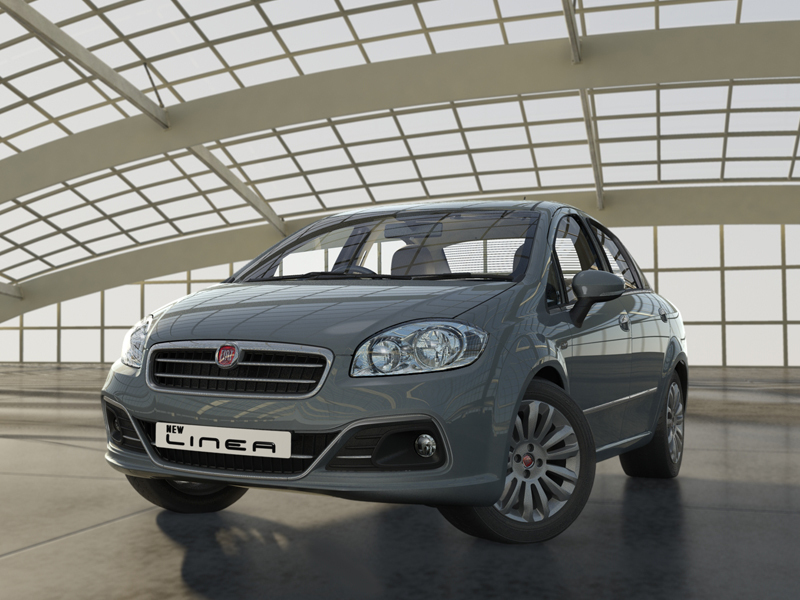 The car is a nice alternate to the Fiat Linea T-Jet and is an enthusiast’s choice in its segment. However, the Vento has some way to go before it can match the Fiat in terms of sheer driver engagement.